Outstanding student debt in the United States is currently at a record $1.1 trillion. The average college student graduates with almost $30,000 in debt, and one out of every five borrowers have defaulted on their loan repayments, according to The New York Times. On Thursday, five federal agencies published new guidelines for student loans with graduated repayment, where monthly installments increase over time. 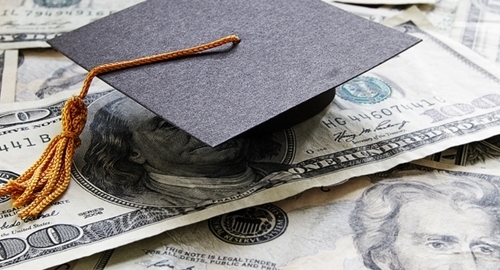 The Consumer Financial Protection Bureau, Federal Deposit Insurance Corporation, Federal Reserve System, National Credit Union Administration and Office of the Comptroller of the Currency jointly recognized the need for greater flexibility in repaying student loans. Graduated loans are designed to match expected increases in borrowers' incomes when they enter the workforce, with payments ideally rising no faster than salaries. Ensure timely repayment from the start by adjusting the terms of the loan to reasonable market salary expectations. Avoid payment shock by starting payment increases early in the life of the loan and keeping them gradual throughout. Adjust terms to the borrower's income and assess the borrower and cosigner to properly gauge the monthly payments they can meet. Provide borrowers with all relevant financial and legal information and make sure they fully understand the terms. Comply with all laws governing consumer protection and reporting, including the Electronic Fund Transfer Act, Equal Credit Opportunity Act and the Truth in Lending Act. Contact borrowers each time installments are set to increase to ensure that they are ready and can meet payments. Graveco's Contract Collector loan servicing software makes it easier for private lenders to set ideal terms for student loans. It automatically tracks payments and updates financial statements, and generates reports while guaranteeing the security of private information.